Sharon Blanton's, ’66 mom. Betty was Miss California of 1941. I’ll try to find a picture. 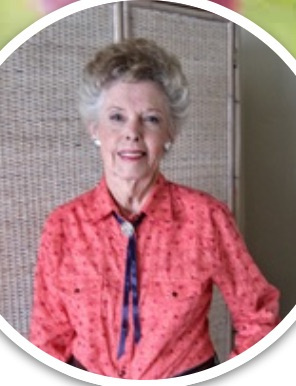 Surrounded by her loving family in her home during the early morning hours of February 28, 2019, Betty Goodan Blanton Andrews passed in peace into God’s embrace. She was ninety-five. She was born October 11, 1923 in Los Angeles, California to Tillman Parker Goodan and Minnie Adele Thorpe. She attended Fairfax High School and upon graduation enrolled in the California Institute of the Arts where she persued her degree in Art. Her father, Tillman Parker Goodan, was her inspiration and mentor for her passion of illustrative art. Her mother, Minnie Adele Thorpe, was her guide to the great outdoors where together the three of them camped, fished, hiked, and rode horses in the High Sierras from their cabin at Camp Nelson and on their ranch in Lebec, California. She met and married Billie Corder Blanton, a World War 2 pilot of B-24 Liberators in 1945. Together they bought a house in San Bernadino, California where they raised the first three of their five children: Sharyn Lee Ely, Sally Ann Williams, and William Robert Blanton. From San Bernadino they moved to Whittier. Betty and Bill had two more children Susan Lynn Jonas and James Allen Blanton. The expanding family necessitated a move to a larger home that took them to Fullerton in December of 1963. Betty spent the rest her life as a resident of Fullerton. In 1978 Betty lost her husband, Bill, to heart disease after thirty-three years of marriage. After years of devoting her life to raising her children at home, she entered the work force with Bullocks Department store in La Habra where she eventually became a departmental manager. In 1984 she was introduced to retired engineer, Robert L. Andrews, by her daughter, Sally Williams and son-in-law, Jim Williams. A blind date was arranged for the two of them to meet. It only took three weeks before Bob asked Betty to marry him. They were married at Evangelical Free Church in Fullerton three months later. They enjoyed a twenty-one-year marriage of love, travel, family, worship, and an occasional date night out at restaurants where two for one coupons were honored. Betty was the daughter of a cowboy and artist; and consequently, grew up a cowgirl and artist in her own right. She learned to ride on the family 10,000-acre ranch in Lebec, California. In her later teens she competed in rodeo events all over California and eventually won the title of Miss California in 1941. That title earned her a trip back to Madison Square Garden in New York that same year where she captured the title of Queen of the Rodeo. She rode in parades and shows with Western cowboy personalities like Monty Montana, Roy Rogers, and Gene Autry. She collaborated with her father on various art projects and did published illustrative work for Roy Rogers and Gene Autry. What she cherished and loved more than anything else, however, was her family. She was blessed with nine grandchildren and five great-grandchildren. She was happiest when family came to visit to share stories and have a glass of wine or a cup of coffee. She cherished a lunch date with her kids and grandkids. For years she rode the bridle trails of Fullerton with her daughters. She never turned down an invitation for a home cooked dinner and a movie. Later, that same day or early the next morning she would call and express how much she enjoyed the occasion. She loved to read – sometimes reading one or two novels a week. She loved photo albums and music. Her favorite singers were Jim Reeves, Patsy Cline, Al Martino, and Perry Como. She surrounded herself her entire life with animals. There were horses, cats, dogs, and various reptiles and rodents. There were several occasions where she would be visited by four or five family members who collectively would bring eight or nine dogs. For her, she could not have been in better company. Betty is survived by her five children, her step daughter Sally Gill of Mariposa, California, her nine grandchildren and five great-grandchildren. She has passed into the loving arms of her parents and to all those she has loved who have preceded her in death. She will take a walk to the Rainbow Bridge where she will find the most joyous reception from those who crossed there many years ago and have patiently awaited her arrival. A memorial service will be held for Betty in the chapel at Evangelical Free Church in Fullerton on April 4, 2019 at 2:00 PM. The Tucson Daily Citizen, October 10, 1941, “Tucsonian Shares Garden Cash”, reports that “Miss Betty Anne Goodan, Lebec, Calif, [was a winner in] cattle cutting,” at the 16th Annual Rodeo at Madison Square Garden in New York City.